What does a Papa Murphy's Franchise Cost? Papa Murphy’s is the largest Take-n-Bake pizza chain in the world with over 1,450 stores open worldwide. We offer our customers the unique experience of watching their pizza being made fresh before their eyes and then taken home to bake to perfection - hot out of the oven when they want it. Complete with a distinctive and mouthwatering aroma that brings families and friends together. Open Papa Murphy's in any of these available states: AZ, AR, CA, FL, GA, IN, KS, KY, MD, MI, MO, NM, NC, OH, OK, SC, TX, VA.
A pizza franchise you’ll simply love. Since 1982 we’ve offered a great value and a superior pizza to our customers and a simple focused concept for our franchisees. Papa Murphy’s limited hours of operation and the take-n-bake concept without the hassles of dining or delivery, provide a great franchise opportunity. Papa Murphy's empowers its guests. Not only do they decide which fresh, high-quality ingredients top their pizza, but customers have the pleasure of baking it right in their own ovens for a fresh, hot, delicious meal whenever they want. The dough is prepared daily in each store. Each pizza features fresh ingredients, including 100% all-natural, whole-milk mozzarella, cheddar and provolone cheeses. Real meat toppings, with no fillers, include savory Canadian bacon and premium salami, pepperoni, Italian sausage and ground beef. Other toppings, including fresh Roma tomatoes, whole mushrooms, green peppers and onions, are sliced and diced daily. 95% of Papa Murphy's stores are franchised. It is the energy and entrepreneurial spirit of our franchisees that makes Papa Murphy's the innovative and customer-centered organization that it is. Without the hard work and dedication of our franchisees, we would not have been able to experience the growth and success that we have seen over the years. 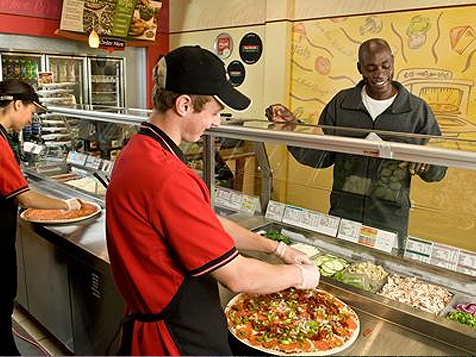 Papa Murphy's offers extensive training for new franchise owners, including in-store skill training and structured classroom training at our headquarters in Vancouver, Washington. Our experienced real estate team offers assistance with the store location process. Once a lease is signed, our design & construction team work closely with each owner during the build out process of the store. The marketing department assists each owner to develop a high-impact grand opening plan and a national print advertising campaign along with continuous local store marketing. On-going operational support is critical to our company’s success so each franchise owner has the assurance that they have Operations Support that is dedicated to ensuring they have all the tools and knowledge to operate their business to the best of their ability. Why Papa Murphy’s Take ‘N’ Bake Pizza? Lower Initial Investment - the cost to open a Papa Murphy's pizza franchise is less than many comparable franchise opportunities. 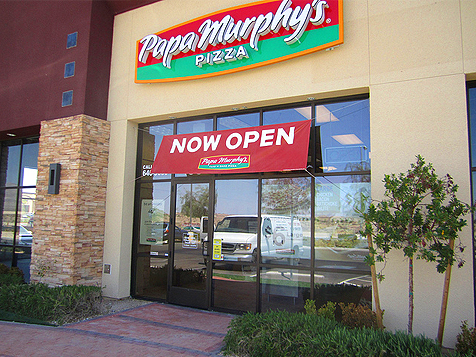 Ease of Operation - with limited store hours, no ovens, and a proven franchisee training and support system, the Papa Murphy's concept offers simplicity. Reduced Labor and Minimal Space Requirements – since there is no in-store dining or cooking, our concept eliminates expensive labor and dining space. No Prior Restaurant Experience Required - the Papa Murphy's Pizza Franchise System provides all the information you need to operate this pizza business. Consumer Value and Appeal - Papa Murphy's is based on 6 fundamentals - quality, quantity, low price, fast/friendly service, marketed aggressively and owner involvement. Are You a Good Fit for Papa Murphy’s Take ‘N’ Bake Pizza? 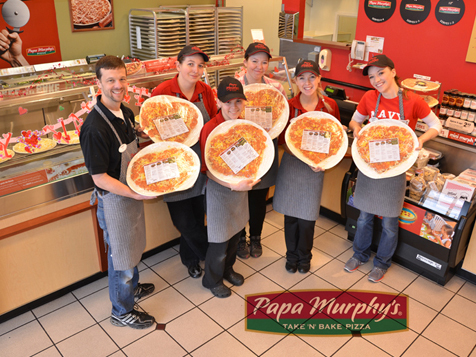 Papa Murphy’s is more than 1,450 locations strong – and currently extending our franchise family in Arizona, Arkansas, California, Florida, Georgia, Indiana, Kansas, Kentucky, Maryland, Michigan, Missouri, New Mexico, North Carolina, Ohio, Oklahoma, South Carolina, Texas and Virginia! Please complete the request form to receive more information about the Papa Murphy’s franchise program. This is not an offer to purchase a franchise. Offerings are made by Franchise Disclosure Document only. On-going operational support is critical to our company’s success so each franchise owner has the assurance that they have a Director of Franchise Operations that is dedicated to ensuring they have all the tools and knowledge to operate their business to the best of their ability.